Three different books came to me this week when I needed them. I've had a huge shift happening lately where I feel as though I'm getting re-grounded on new ground. Does that make sense? There's a pivotal movement in my thinking and it's touched everything around me. 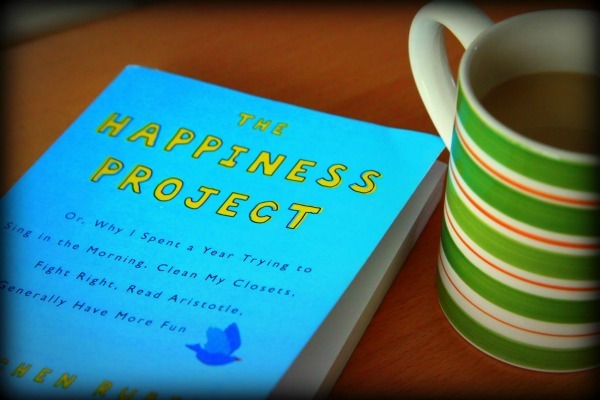 The first book I read was The Happiness Project by Gretchen Rubin. (She has a new one out now called Happier at Home). I don't necessarily think that the object of life is happiness, but I don't think it's wrong to make life as happy as it can be. Gretchen, the author, goes about it in a methodical way, but shares stories from her journey making it intriguing. She researched all the ways of gaining happiness and then tried them out, a different theme per month for a year. Her findings really got me thinking. I've already incorporated some of her ideas and find that, yes, I am happier. I love research almost as much as she does, so I felt like she was speaking my language! A soul connection. The second book I read was The Seven Tales of Trinket by Shelley Moore Thomas (aka Story Queen). I've followed Shelley's blog since I began my blogging journey, in fact she was one of my first followers (bless her); so naturally, I was curious about her new middle grade novel. As soon as I began the first few pages, I knew I was going to love it. It's about a girl who collects tales along her journey in search of her father who'd disappeared years before. What caught my attention about it was how much I identified with Trinket. I collect stories! And just as she is a storyteller, I love to tell stories. After finishing the book, I felt this sense of being known. 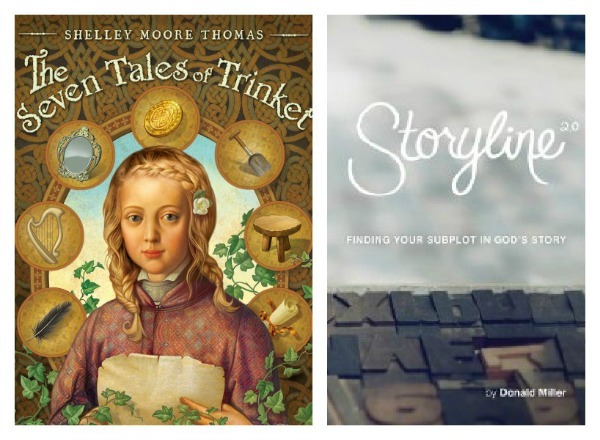 The third book I read was Storyline by Donald Miller (I touched on this a little when I talked about plotting my life). It's more of a workbook than book, which I loved. But he helps show that you are the character in your own life story. He shows how to ignite an inciting incident in life to move your life forward in the direction you want it to go. (An inciting incident is that moment that everything changes for a character, when they are forced to live differently from then on.) I've been working my way through the book and soaking in the deliciousness of an onslaught of ideas. The last thing I want is to be a stagnant character, a boring character or a character that goes nowhere. So I've set up some inciting incidents for myself that I'll share later on. I find my mind whirring constantly with thoughts from each of these books. I love when I'm inspired this way. it usually ends up in a core change that is good. It's so good to feed on books in this one simple life. I'd love to hear your recommendations on books to add to my reading list. Have you read any great ones lately? I would like The Seven Tales of Trinket. Seems to be a good book. I'm reading Monday Morning Meditations by Monica Marie Jones. The book if filled with short inspirational stories/messages. It's really uplifting and makes you stop and ponder a few things. I'm looking forward to reading the books you've listed. Thanks for the recommendation, Angela. :) I hadn't heard of that book. It means so much to me that you read my book! Your kind and thoughtful words really made my morning. I have been tempted twice to buy the Happiness Project--but I was kind of afraid it would make me feel like an unhappy schmuck or something. Good to know it's filled with little bits of inspiration. Might be perfect for me for the new year.